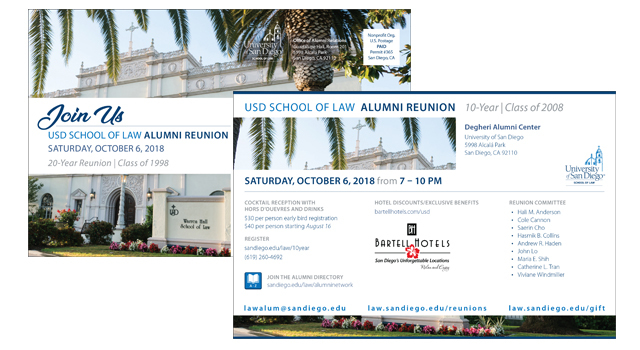 Two pieces done annually by University of San Diego: a save the date, and an invitation postcard that both use variable data to output to a list of alumni who receive this event invitation. With variable data, the client is able to change up dates and venues (for example) during the printing process. Ask me about using variable data for your company!